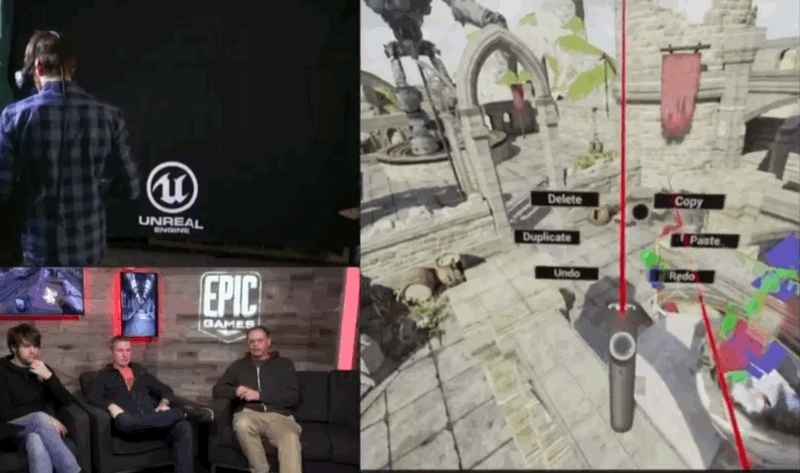 A live-streamed press conference via Twitch from Epic Games headquarters in North Carolina debuted an in-VR version of the Unreal Engine development tools. The system was demoed in room scale using an HTC Vive. The reveal featured development capabilities such as pinch-zoom, axis lock rotation and movement, snapping, and point to move locomotion. You will also be able to pull up elements of the actual Unreal Engine UI and interact with it like a tiny iPad in your hand. The VR dev system will be built into the existing Unreal Editor with a button on the toolbar being programmed that will allow you to toggle back and forth between 2D and in-VR development instantly. Sweeney says more information about the system will be revealed at the upcoming GDC conference including an official release date. 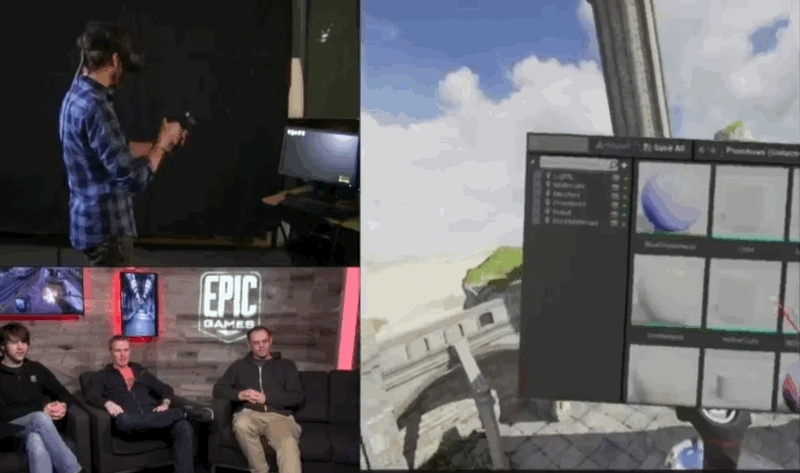 We will bring you more news on Unreal’s development suite for VR as it becomes available.